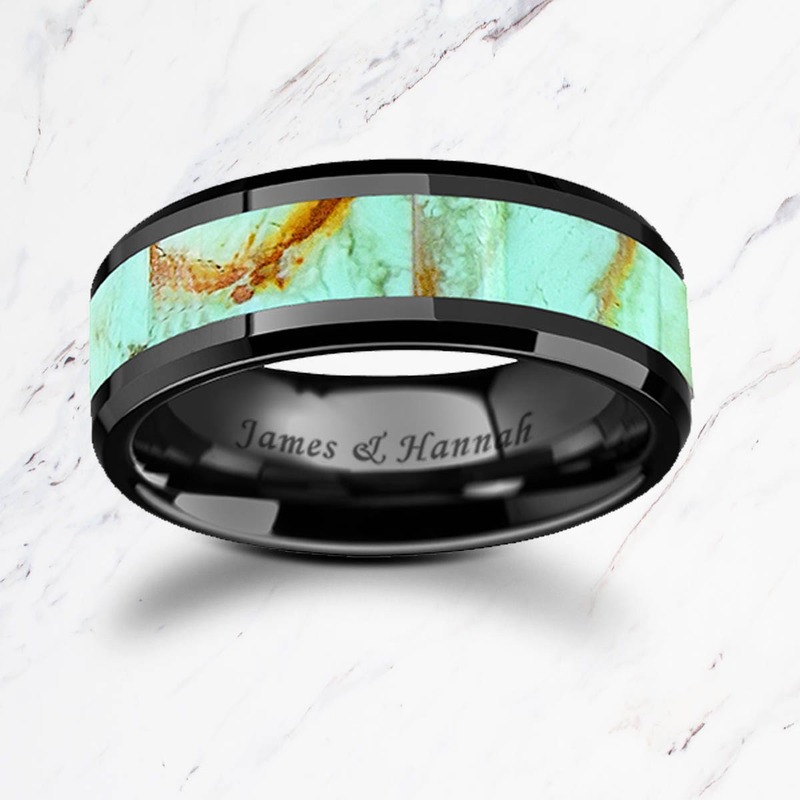 This is a bevel edged & polished black ceramic turquoise ring with a custom engraving of your choice inside of the ring. 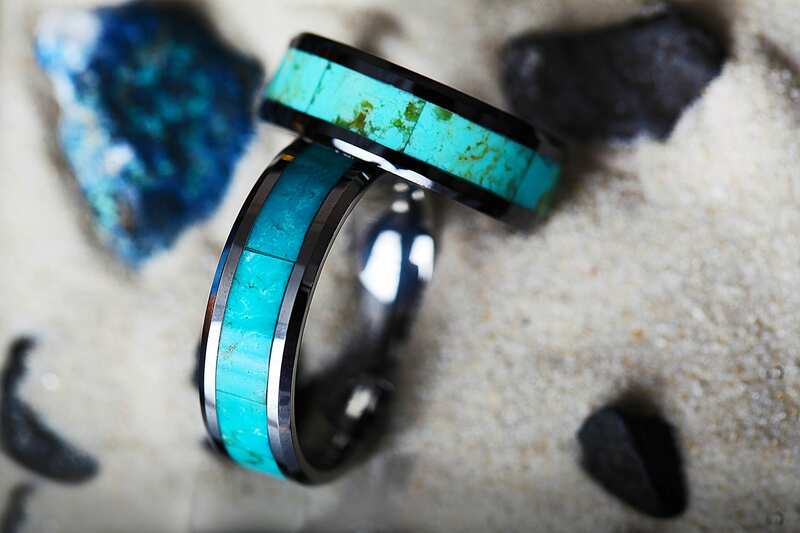 Turquoise is a beautiful light blue color with streaks of orange and red that appear randomly throughout the band. 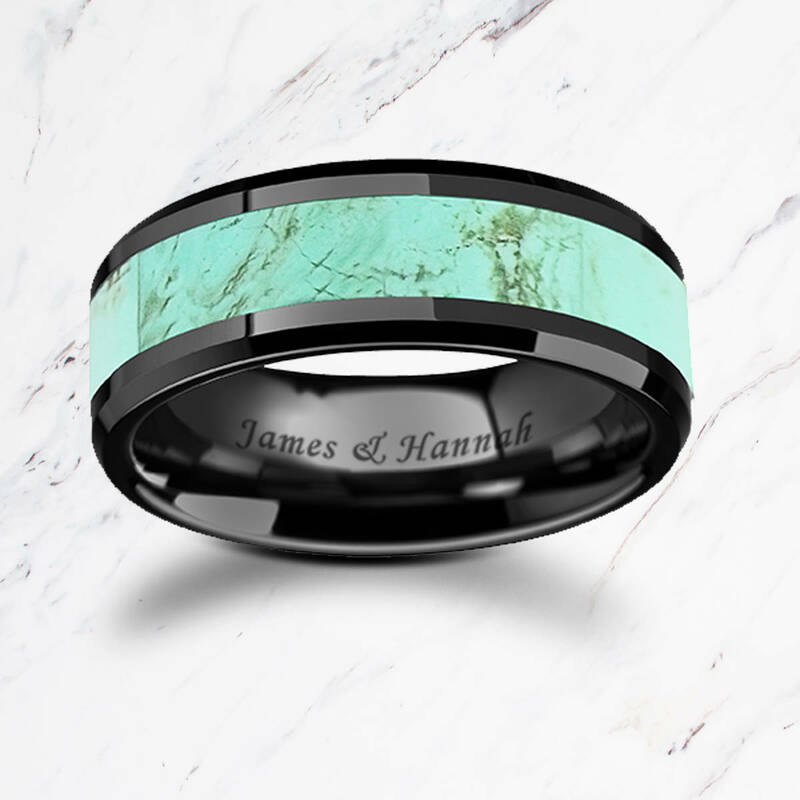 Black ceramic is extremely scratch resistant, but the inlay is not. 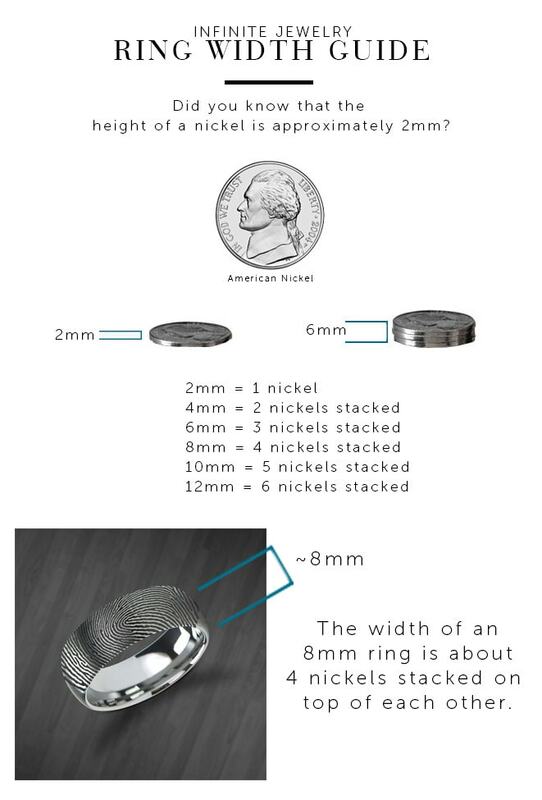 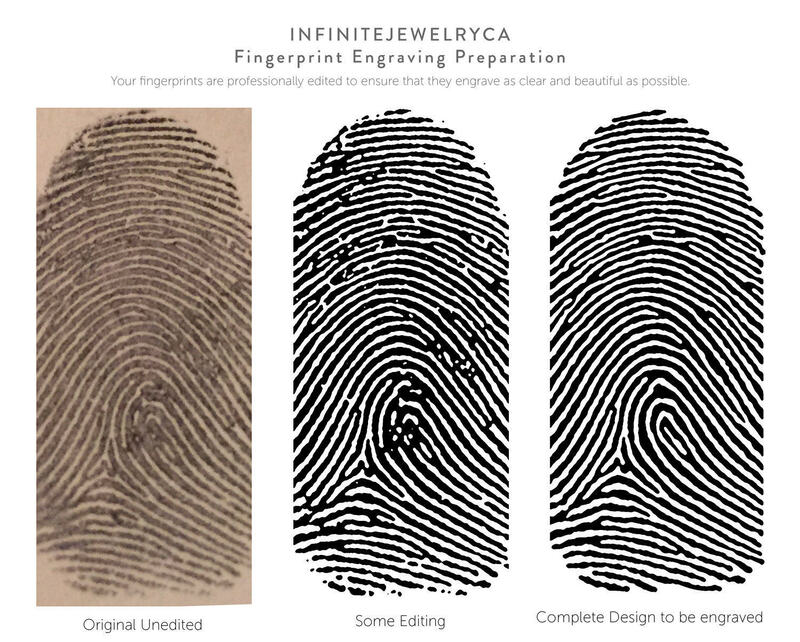 All of our rings are not indestructible and can scratch if hit against blunt objects or dropped like all jewelry.